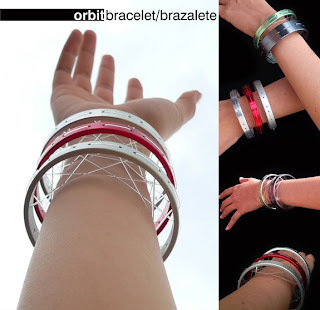 What a cool bracelet! It looks like something Jane Jetson would wear. I want one. Or several. In different colors and widths. That seems to be a problem, though—once again, I find myself enamored of a product that isn't available for sale. Bah. Now Your Taser Can Match Your Shoes!